The Drum Circle was primarily formed to promote cultural awareness and an exchange of ideas. They perform at street fairs, festivals, coffee houses and schools; anywhere their message and their music will find the ears of the community. Their goal is to bring society’s people together to celebrate worldwide ethnic awareness. 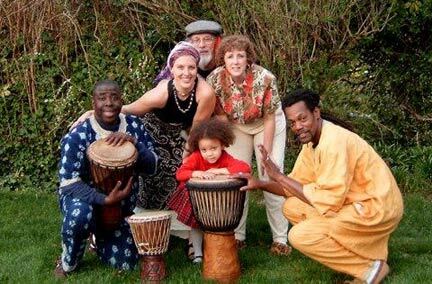 This group is part of the “The Drumming Outreach Project,” which aims to attract and integrate diverse cultural groups into a unique drumming experience. There will be a performance by the members of the group, as well as a chance for outside participation. Poets, performers, musicians and dancers are also invited to take part. The group was formed many years ago when its founders felt that there was very little minority representation of the arts. Willie “Congo” Carter, the founder of The Drum Circle believes that there is a lot of undiscovered talent in the area whose only hindrance is lack of motivation and confidence. Drum Circle endeavors to provide the atmosphere needed to gain these qualities. The Drum Circle and workshop is an all-day event. Take the time to come down and test your talent with the ultimate drumming experience.